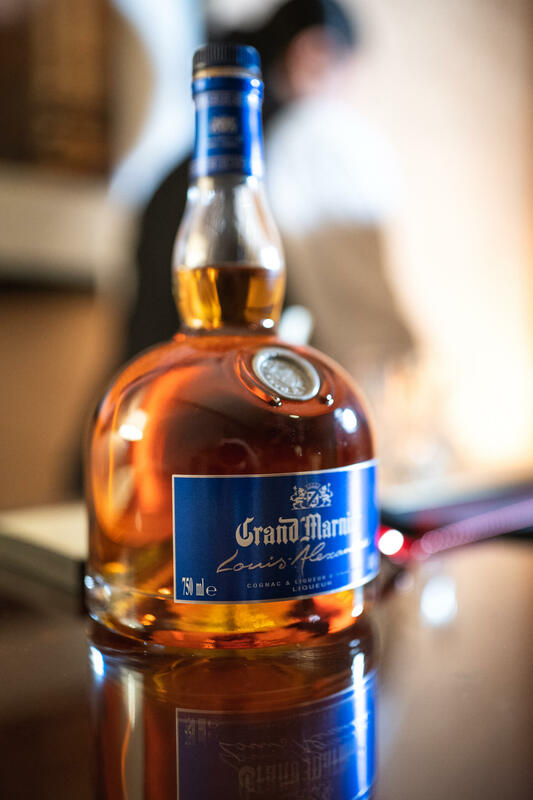 There is a magic in the taste of Grand Marnier. says Patrick Raguenaud describing the iconic cognac-infused brand that has impassioned people since the early days. As the self-described ambassador of the grand French liqueur house – he’s been the Master Blender of Grand Marnier for 14 years and currently the President of the Bureau National Interprofessionnel du Cognac, Patrick curates a collection of the finest cognac-blended liqueurs. 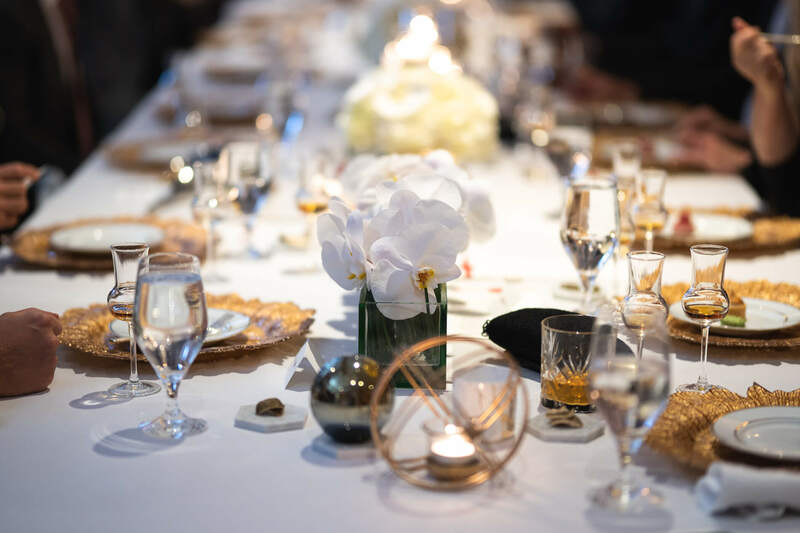 Over an elegant 5-course dinner aptly themed “We Live Grand” the stage was set at the eponymous Ritz Carlton Toronto for a special gastronomic journey into the world of Grand Marnier. 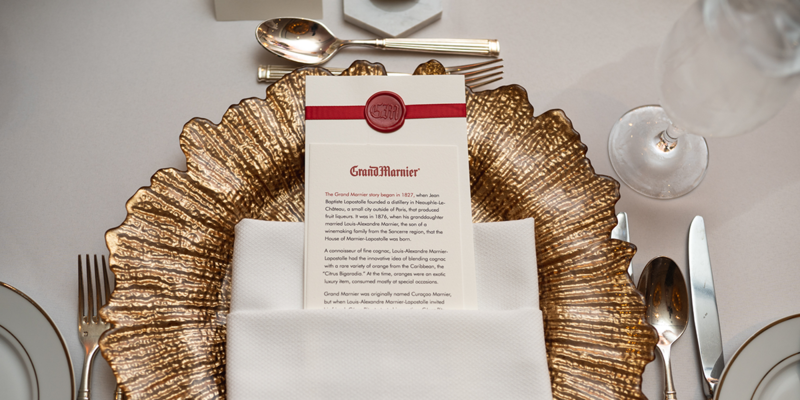 The location was specially intended to reflect the strong history between Grand Marnier and the Ritz Carlton. In the 1900s Swiss hotelier César Ritz, the story goes, was so taken with a relatively unknown spirits known then as Curacao Marnier that the illustrious hotelier raconteur upon sampling the liquid gold elixir baptized the 40 percent alcohol proof as Grand Marnier. “A grand name for a grand liqueur,” he famously said. The rest they say is history. Curacoa Marnier became Grand Marnier which soon became a tradition of the Ritz Paris as directed by famed Chef Auguste Escoffier who was the hotel’s first chef to serve Grand Marnier as the ultimate finish to an exquisite meal. 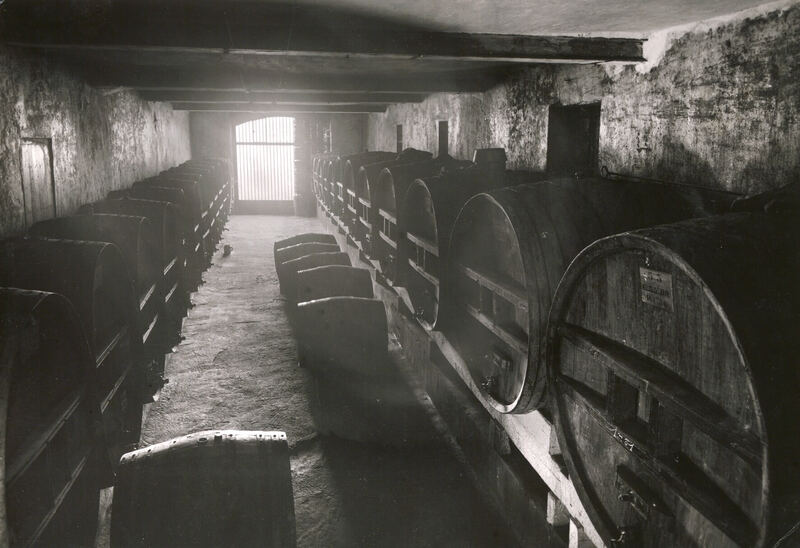 The fine French liqueur was the creation of Louis-Alexandre Marnier-Lapostolle who was the son of a distinguished wine-making family from the Sancerre region in France. 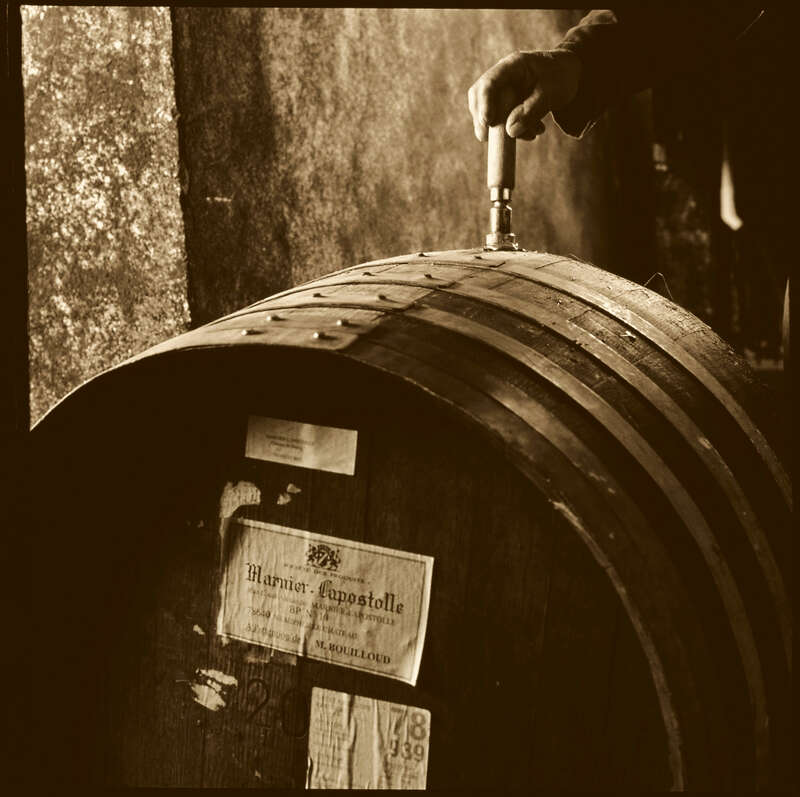 In 1876, Marnier-Lapostolle, a connoisseur of fine cognac, blended two ingredients: cognac and a rare variety of orange from the Caribbean known as the “Citrus Bigaradia” for this unique cognac-infused drink. 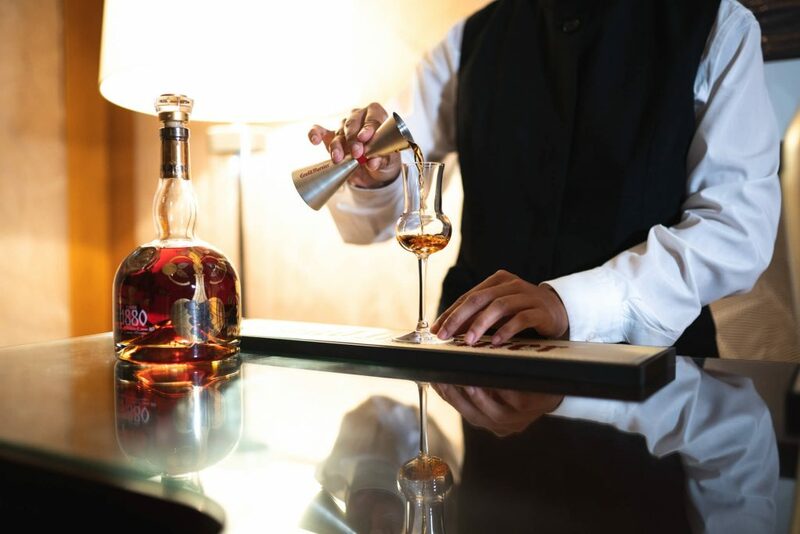 To toast the vintage in classic Grand Marnier style, imagine a private dining room designed to tantalize. 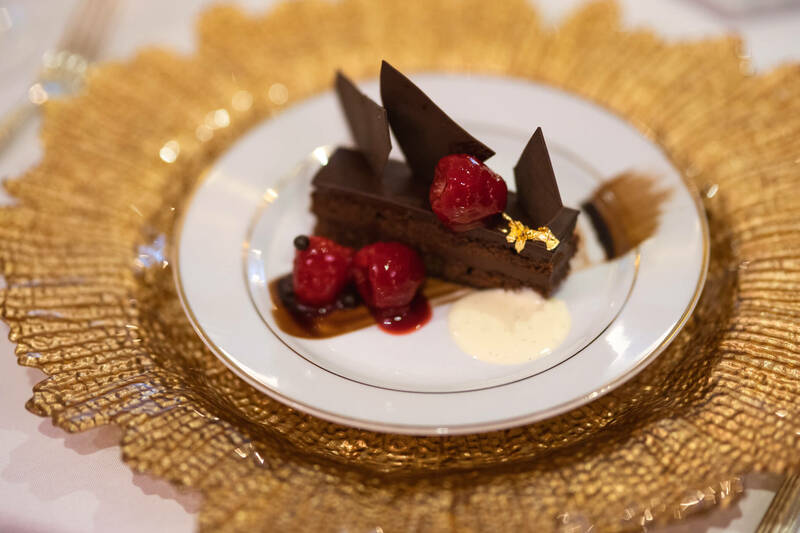 The dinner re-imagined a centenary menu from the acclaimed Ritz Paris but with a modern twist. 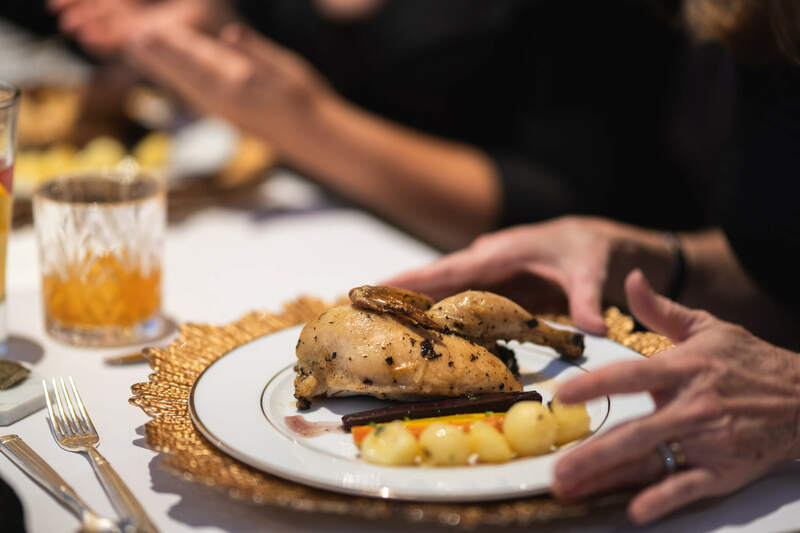 Fixings married Ontario-sourced ingredients with a menu inspired by the renowned chef Auguste Escoffier, the ambassador of French cuisine who was a culinary pioneer visionary. Escoffier organized the kitchens for the luxury hotels owned by Cesar Ritz. Unlike the early days when it was customary for diners of fine French cuisine to complete their evening with the orange essence liqueur, each course in this special gastronomical journey was accompanied by the fine citrus-based notes of Grand Marnier, showcasing the full range of Grand Marnier. Diners enjoyed the signature Cordon Rouge in the classic Grand Sidecar welcome cocktail and throughout the dinner imbibed on unique blends of the finest French cognac and essence of exotic bitter orange. A brigade of formally-attired waiters stood behind the dinner patrons and in unison presented each course. The epicurean starter was a classic amuse bouche inspired by local Ontario ice wine jelly. 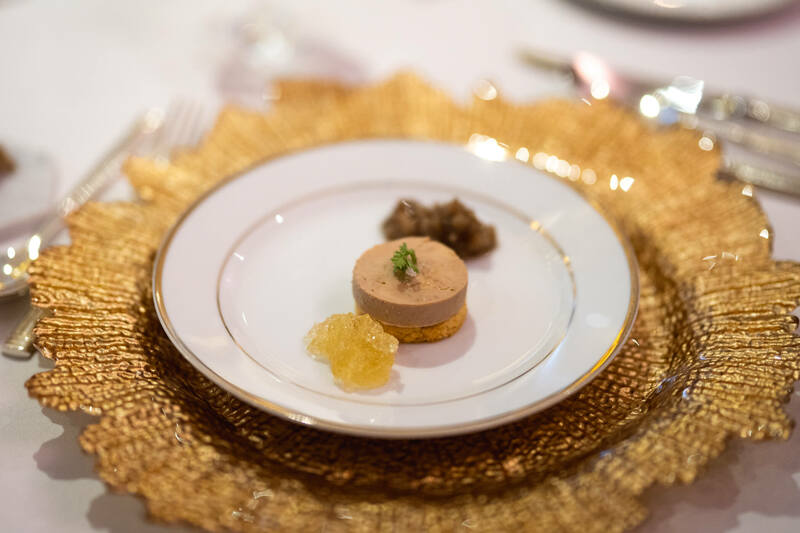 To compliment the first course of Consomme de Lapin, the delectable fresh notes of Cuvee Louis-Alexandre met its match. “On the nose hints of candied orange with nuances of citrus zests, orange and bergamot essences,” declares Monsieur Raguenaud tipping the crystal glass beneath his nose to fully inhale as the two long dinner tables of 50 guests reciprocate. “Incredible,” says one guest. “I love the citrus aroma,” says another. The dining room turns silent. Then gasps. “Created in honour of Louis-Alexandre Marnier Lapostolle in 1977, this recipe was inspired by a ritual that Louis-Alexandre was particularly fond of – adding an extra drop of cognac to his glass of Grand Marnier liqueur to give it a more intense taste,” he enthuses on the 82% cognac blend of Cuvee Louis-Alexandre. 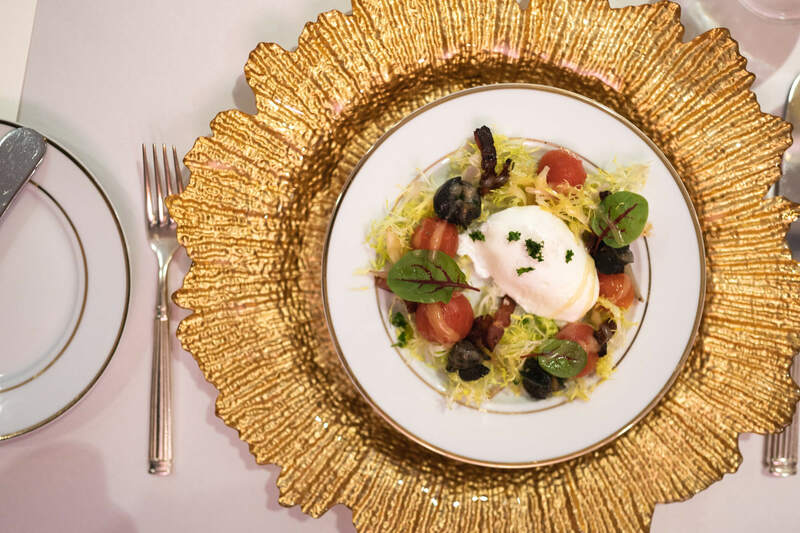 During the unique foodie journey a Grand Collins joins a classic Lyonnaise Salad with Escargots in tribute to France’s gastronomic capital while a Grand Old Fashioned is paired with a Truffled Stuffed Cornish Game Hen. In unison, a parade of plates enter and leave in this grand medley of fine spirits as Grand Marnier presented its other hallmarks. There was the Cuvee du Centenaire which was introduced in 1927 to commemorate the 100th anniversary of the House of Marnier Lapostolle; and, the Cuvee 1880, a 91 percent of XO cognac from Grande Champagne created to commemorate the year Grand Marnier was created. “The Ritz-Carlton partnership allowed us to connect with our guests in a unique manner and expose them to the shared history between two of the world’s most iconic and respected brands,” adds Alyssa De Bartolo, brand manager for Grand Marnier, at Campari Canada on the dining affair. With the cocktail scene in Toronto hot right now, Alyssa hopes the new campaign “We Live Grand” launched this past summer will appeal to a younger segment. 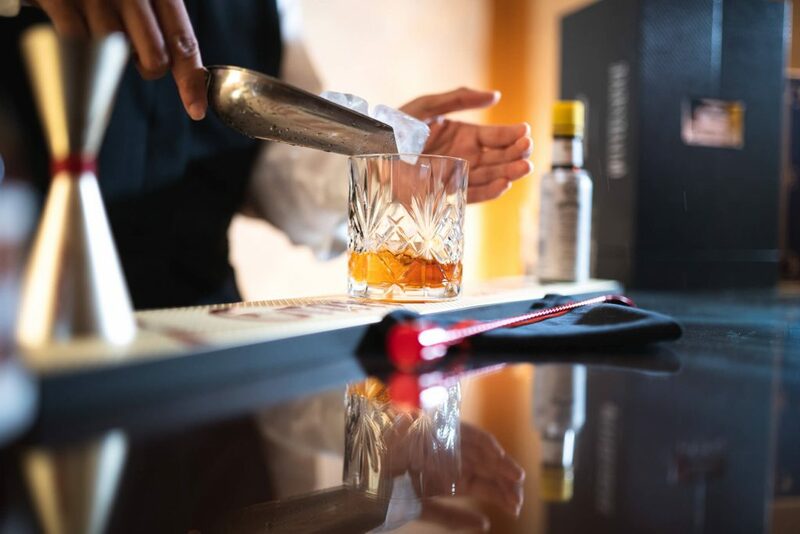 With digital print canvasses illustrating the ultimate Grand Marnier pour, diners watched a new 30-second TV commercial airing until November. As the piece de la resistance, the Cuvée Quintessence appears Monsieur Raguenaud addresses the guests one final time. “This is my pride and joy,” he says. “Go ahead and try it by yourself.” He toasts the attentive audience, all eyes fixed on him. The following 10 seconds, an unbearable silence descends. Then suddenly the people in the room erupt in a rapturous applause. To many, the Cuvée Quintessence’s very existence is due to a certain kind of magic. In 2011 Monsieur Raguenaud created the limited annual release as the ultimate expression from the House of Marnier Lapostolle. The rare blend of old vintage cognacs is combined with Grand Marnier’s double distilled signature wild exotic oranges to create notes of fresh citrus and heavier almond and vanilla notes.